Did you always dream about the greener classroom or home environment for your children? 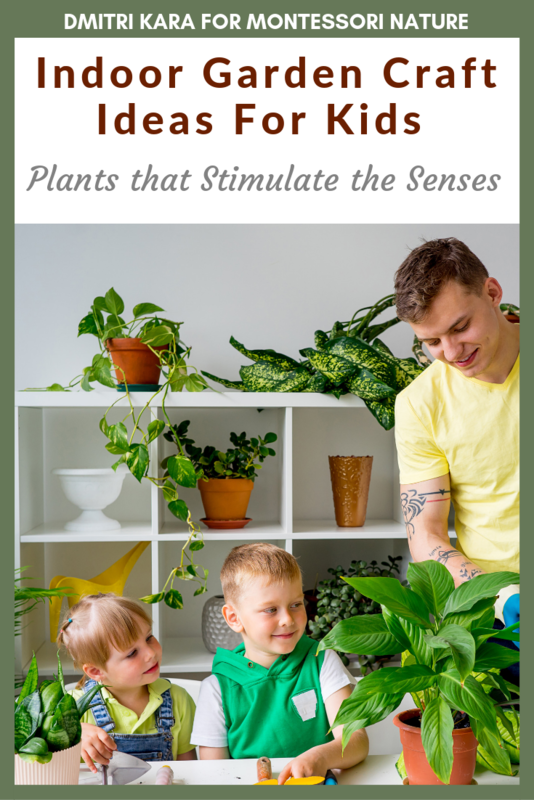 In this post, Drimtri shares his profound knowledge of indoor plants to help you choose plants that can help educate your child’s senses and suit your needs best. 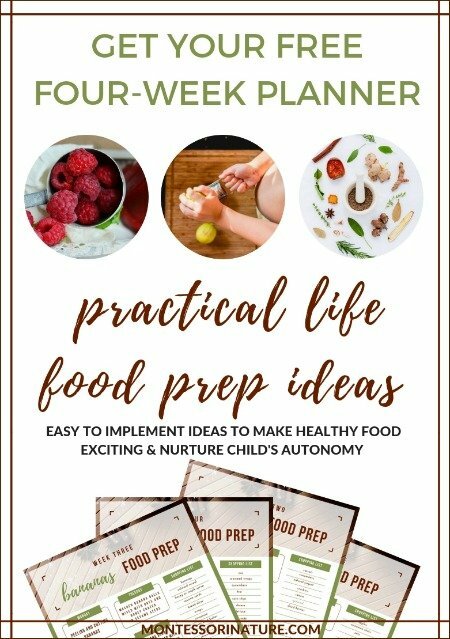 He also gives fascinating ideas on how to connect with your child working hand-in-hand on gardening crafts indoors. Every parent wants their kids to enjoy the outdoors and to have a strong connection with Mother Nature. And while most grown-ups are grabbing every chance of escaping from closed environments, many kids tend to do quite the opposite and spend days without seeing the sunlight. Thankfully they have us, the parents, to help them out and guide them the Montessori way. There are plenty of indoor garden ideas and projects that will capture your kid’s attention while expanding their interactive skills. Besides the obvious reasons like fresh air and distance from the computer, tablet or phone screen, there is a set of reasons why spending time outside is be not only fun for your child. A strong connection to nature almost always results in the improvement of a kid’s mental, physical, and emotional health. There are a number of studies, mostly from the “Children & Nature” network, that researched this connection along with all of the benefits that come with it. For example, one study says that “A walk in a natural environment produced a faster and more stable pattern of responding on an attention task compared with a walk in a built environment.” All of this is great, but still, getting a child outside in this day and age is a bit more difficult task, then it should be. 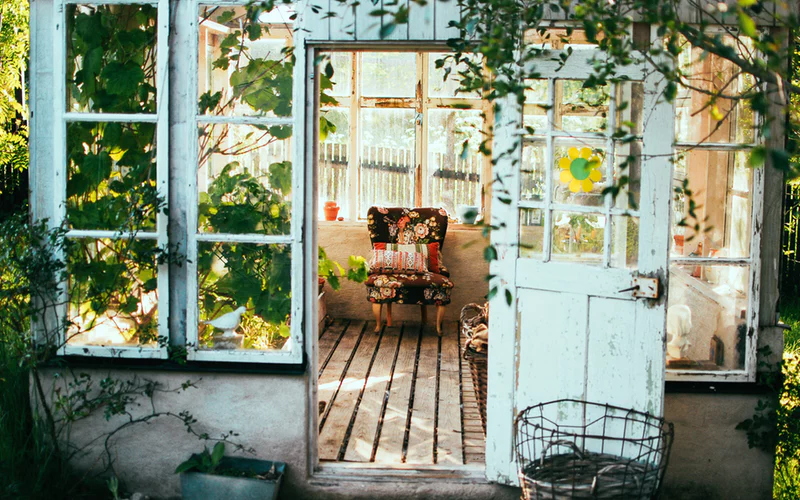 This is why Eva Antill, a gardening expert from Fantastic Services, made a small list of indoor garden ideas that both parents and kids will enjoy in their spare time. One of the best ways to capture the attention of your kids is through DIY, arts, and crafts. And what is more crafty than making a flower pot person! 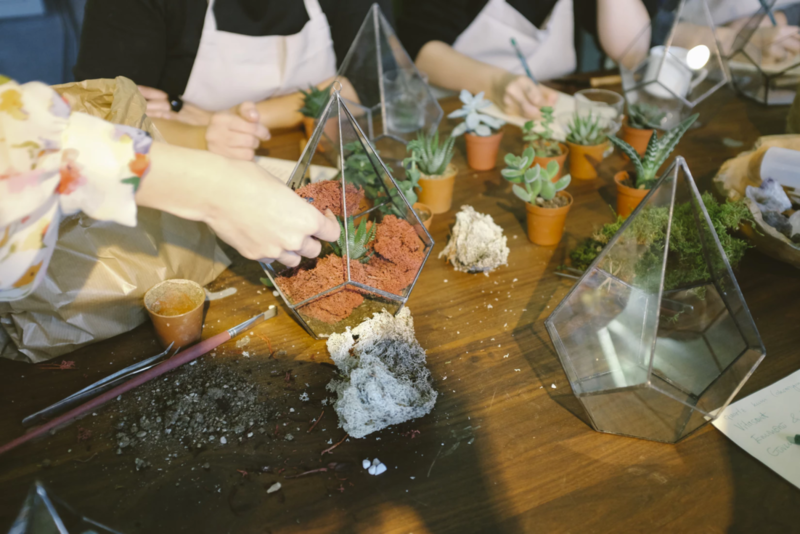 The great thing about this indoor gardening project is that it is customizable and easy! Two big clay pots, around 8-inch diameter with drainage holes. They will serve as the torso and the head of the person. Four smaller clay pots with drainage holes for the limbs. Acrylic craft paint and brushes. Around 3-foot piece of any strong rope. A flower of your choice for each pot person you will make. First, you need to design the head. Grab one of the two big pots and draw a face. Let your kids create their own unique characters. Keep in mind that the opening of the clay pot should be facing up. When everyone is done drawing the face, select a color that will suit each flower pot person and paint the other clay pots – a.k.a. the bodies. Take the end of the rope and run it through the drainage hole of the body-pot. Put the top end of the rope in the hole of one of the smaller pots that will act as a hand. Tie a knot on the inside, so it doesn’t slip through. Pass the rope that comes from the bottom of the body-pot through the drainage opening of the foot pot and again tie a knot inside. Do the same to the other side, and you should have the limbs ready. Glue the head to the body, connecting the bottoms of the two bigger clay pots. 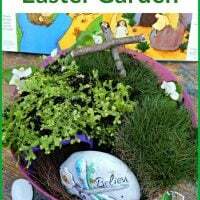 Pick a flower or a type of grass that will represent the hair of the flower pot person and plant it. 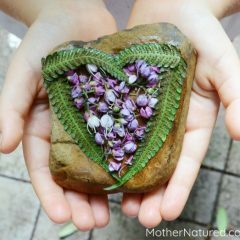 3 Easy Steps to et Your Kids Crafting with Natural Materials. A garden scrapbook project is a wonderful way to spend time with your kids while teaching them about life in your garden. Again, each person can create their own scrapbook and follow a different theme that will make it unique. Buy a base scrapbook. Ask your kids about the pages and the design they would like to have. My daughter, of course, wanted pink pages, so we had to look around a bit until we found a book that would go well with this color. You can find scrapbooks in crafts, hobbies, office supplies, department or gift shops. Buy more pages. If you’re planning on using 20 pages per book, for example, make sure to buy at least 30, just to be on the safe side. Gather some supplies. You will need two pairs of scissors – a regular pair and one with a patterned edge. Also, don’t forget to buy some glue. Let your kids browse through the aisles and choose different decorations like stickers or pre-cut foam icons. Bind the pages together. If you are using a string or a cord, perforate the pages a couple of time at the sides. After that just put the string or cord through, and you’re ready. If you prefer to glue them together, apply the adhesive at least 2 inches into the page. Press the pages with a heavy object for around 10 minutes before you start crafting. Glue the book cover and the pages together. This is the last step you need to do alone before leaving the rest of the book to your kids and their imagination. 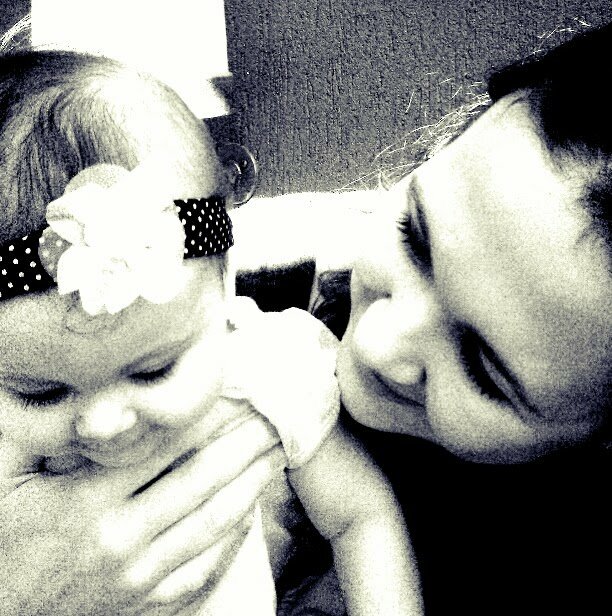 Grab a camera and make a bunch of fun photos with your kids. Involve other members of your family, pets, neighbors. The more, the merrier! Mark this beautiful day with many colorful pictures you will later put at the beginning of the journal. Dry leaves and flowers. Place the chosen plant specimens between sheets of an acid-free paper, put them under a pile of books, and let them stay for a couple of weeks. The leaves should be thin, as thicker ones can mold or rot. Of course, all the preparations should include your kids. In the beginning, they might protest a bit as this technique does not provide them with immediate results, but this is the main idea, after all. They are teaching them patience and appreciation. After the flowers have all dried out, laminate them with an acid-free product and arrange them along the pages. Invite your kids to read a bit about the flowers and let them write the names above the dried sample. In the drawing pages, there are no limits! Your kids can draw the garden as it is now, or maybe draw it how they wished it would look like. If any of the ideas drawn in the scrapbook are actually doable and to your preference, don’t hesitate to make them a reality! It will certainly make your kids happy. A calendar for the different flowers. After your children are already aware of all the different flowers there are in the garden, teach them about their blooming periods and different maintenance tasks. For example, if the flower in question likes shade or not, which is the season when it blooms, and how often they should water it. You will find that this type of calendar will not only be fun for your kids but also very useful for you. What if we tell you that there is a way to get your children interested in gardening while engaging all of their senses too! Create a garden full of sensations that will make them fall in love and never leave it. The plants listed below can tickle your kid’s sense of sight, sound, touch, and smell. Choose the ones that will go best with your type of garden and plant them together with your family. Every kid loves bright colors and interesting patterns. You can encourage your kids to name other flowers in similar colors or think of stories with them. Super sunflowers – They are one of the fastest growing flowers, able to reach up to two meters in six months. Their bright colors also attract a lot of birds, which is something your children will surely enjoy. Heuchera “chocolate ruffles” – The leaves of this beautiful plant are coppery-pink and the flower itself – purple with chocolate undersides. Heuchera will also attract butterflies, again to the full joy of your children. Calendula – These daisies will bring orange and yellow tones to your garden and be the perfect companion to many other plants. Note: Sometimes indoor plants can be a source of allergies, that’s why anti-allergen purifiers can do a great deal of good. The plants below produce many different sounds that could really unfold a child’s imagination. Just let them sit in the garden and tell you what they hear. Greater quaking grass, Briza maxima. This grass formes panicles of large, flat, ovate, pale yellow flowers that rustle in the wind. Bamboo, Phyllostachys. The stems of this bamboo knock each other from the wind, forming a hollow sound. The bigger canes are also used for making wind chimes. Love-in-a-mist, Nigella damascena. The sound of this bright blue flower comes from the rattling puffy seed-heads that it forms. Different plants have various textures, and each one of them has its own purpose. Walk your kids around the garden, tell them to look and touch each plant. After that, they can explain the feeling of being in contact with the surface of these plants and what they think about the purpose it serves. Lamb’s ears, Stachys byzantina. The name of this plant comes from its soft textured silver foliage. African sundew, Drosera capensis. This plant you can only observe! It’s a carnivore that catches pray using the glue-like substance on the surface of its leaves. Houseleek, Sempervivum ‘Commander Hay’. This is an evergreen perennial which forms mats of fleshy-leaved rosettes. It’s pleasing to the eye, as well, with its star-shaped pink flowers. Flowers and leaves that give off a potent smell are always a good addition to any garden. “Turn a simple afternoon in the back garden into an adventure or a game. Let your kids guess what the different smells are and what they remind them of”, says Anthony Sinclair from OakHillGardens.com. Helichrysum italicum, also known as the Curry plant. The smell is released when its yellow flowers and silver-grey leaves are crushed. Cosmos atrosanguineus – Chocolate Cosmos. The beautiful deep red flowers of this plant give off a strong chocolate-vanilla smell, which is especially strong during the hot weather. Sure to be your children’s favorite plant in the garden. Lavender, Lavandula angustifolia ‘Hidcote’. This fragrance is widely known for its many therapeutic uses. It’s a great addition to your garden, which the kids will surely love. You can teach them about the history of lavender and its many other uses. 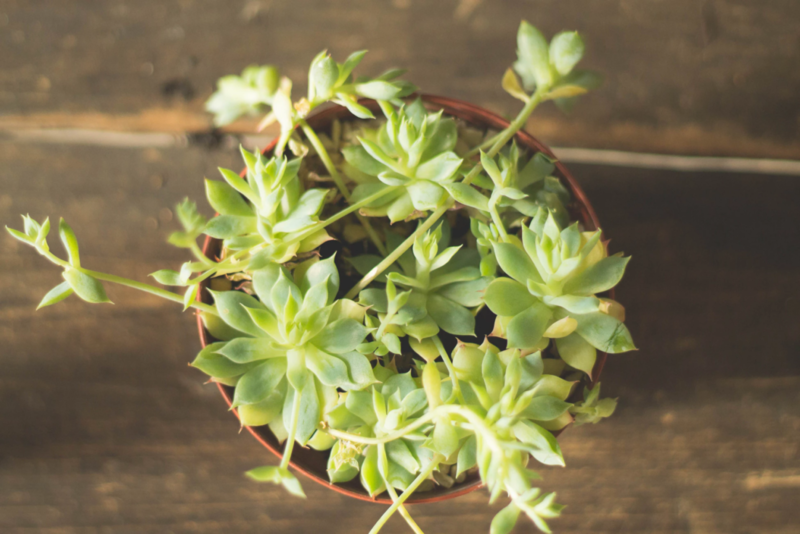 These are only a few of the many indoor gardening ideas that your kids will not only enjoy but also learn from. Whenever you feel like they spend too much time in front of a screen and away from fresh air, propose them a fun garden activity. In time your children will learn to connect the outside with pleasant moments, and there would be no need for you to think of reasons that will take them outside. 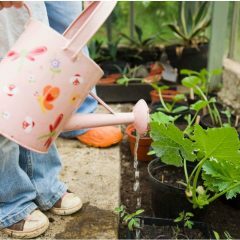 It’s best to do these as gardening activities for preschoolers, but it’s never too late to start. Spending time with your kids and Mother Nature it’s also a great escape from daily struggles while bringing back your inner child. Each one of us has one. Just don’t let it grow up. 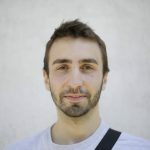 Started as a jack of all trades back in early 2012, Dmitri Kara is currently a recognised expert in a wide range of domestic and commercial trades. Dmitri has appeared for quite a few reputable outlets such as Today.com, Metro.News, Telegraph.co.uk, ReadersDigest.com, Quote.com, Reviews.com, Plus.net, IkeaHackers.net, MyKukun.com and many more. You can reach him at https://twitter.com/@dmitrikara.